My friend & teammate, Larry Robins is a professional photographer & filmmaker. Last week found him filming wolves in Bozeman, Montana, near Sacajawea Peak. Cool, indeed! Montana in January can be downrightd cold. And snowy. And blowy. Whoa. That’s a lot of snow! Thank you, Larry, for putting my hat to the test and letting me know the results! 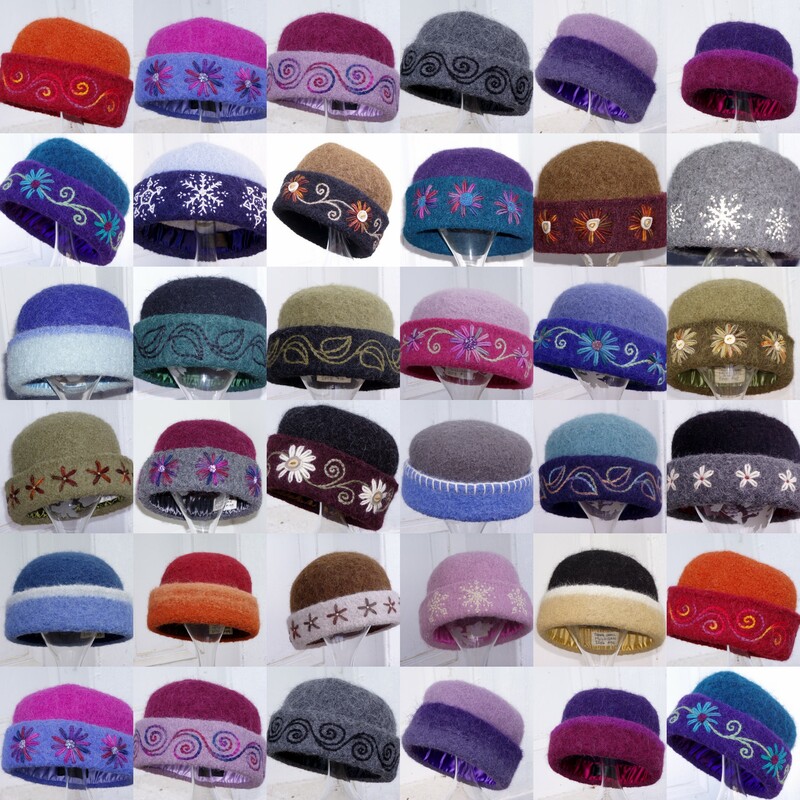 Anyone else putting their CCM felt hat to the test this winter? I’d love to hear from you… Leave a comment below or connect with me on Facebook, Twitter, Pinterest or Instagram. 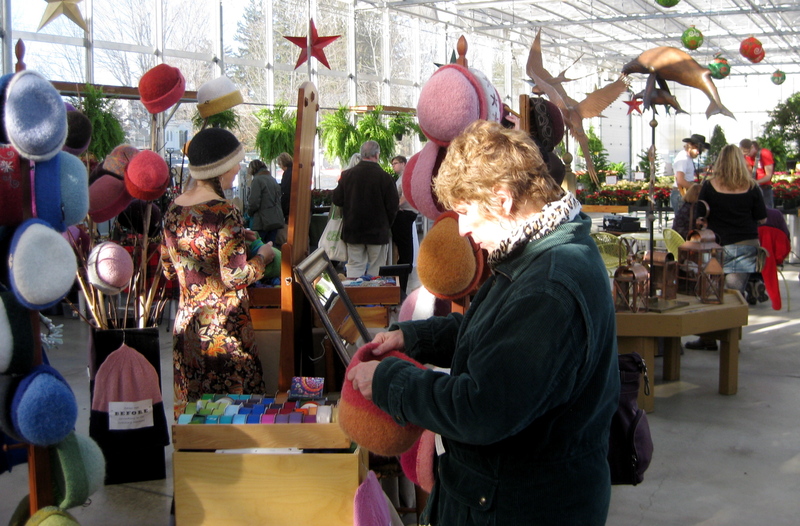 Embroidering while chatting with visitors at the Wentworth Greenhouses. 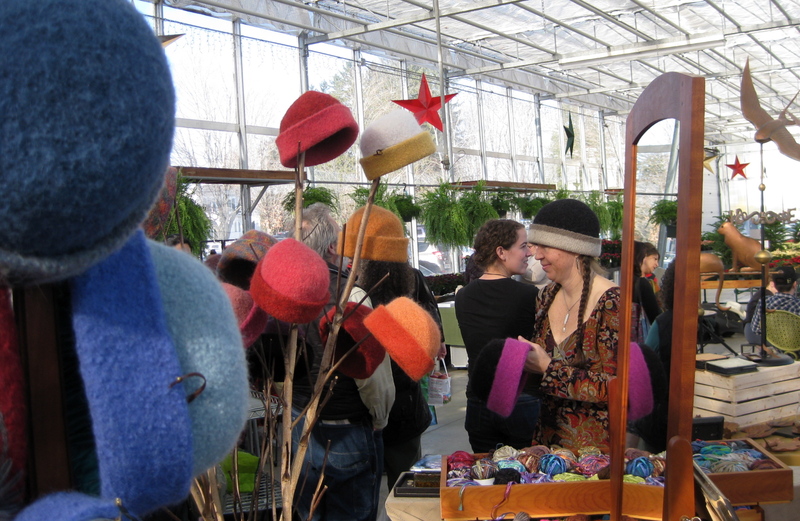 Tomorrow will mark my 3rd appearance at the Winter Craft Market section of the Wentworth Greenhouses Winter Farmer’s Market in Rollinsford, NH. 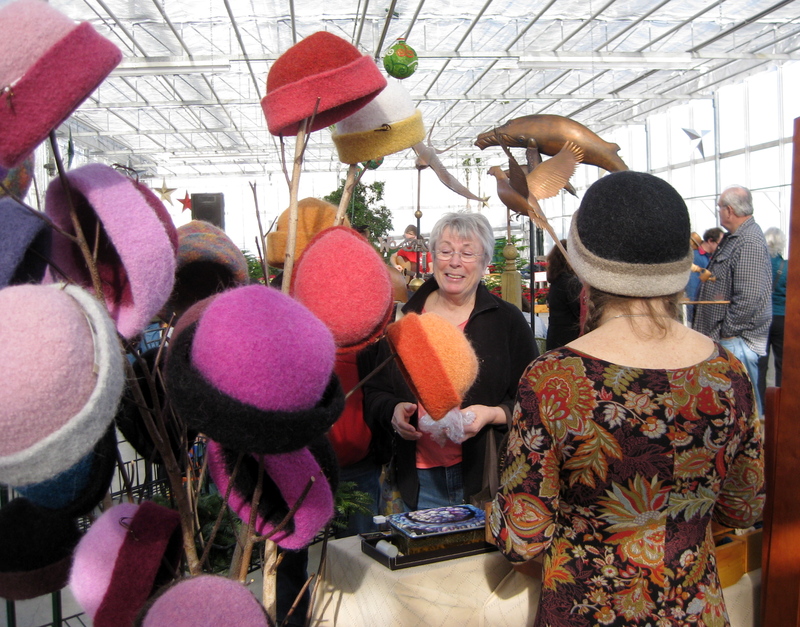 I love meeting the people who love my embroidered felt hats! 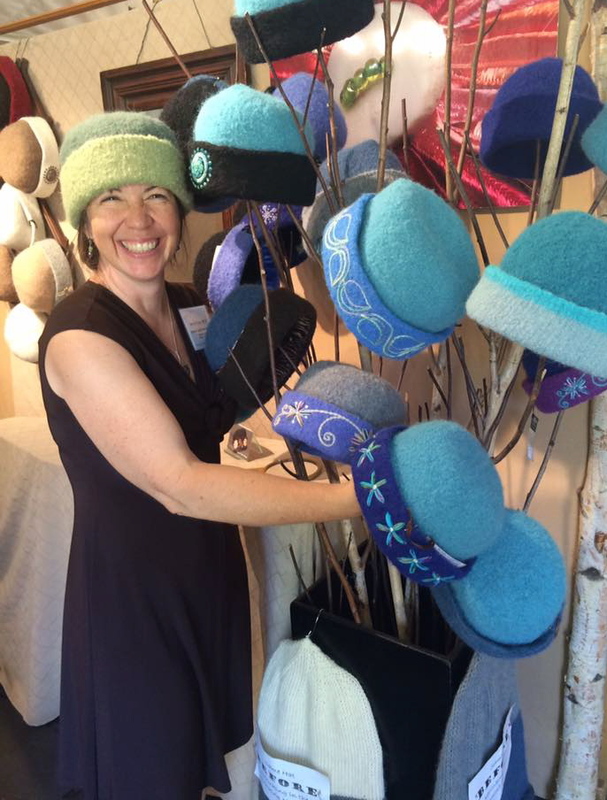 With temperatures dipping into the single digits this weekend, this is the perfect time to treat yourself to an exquisitely practical felt hat. 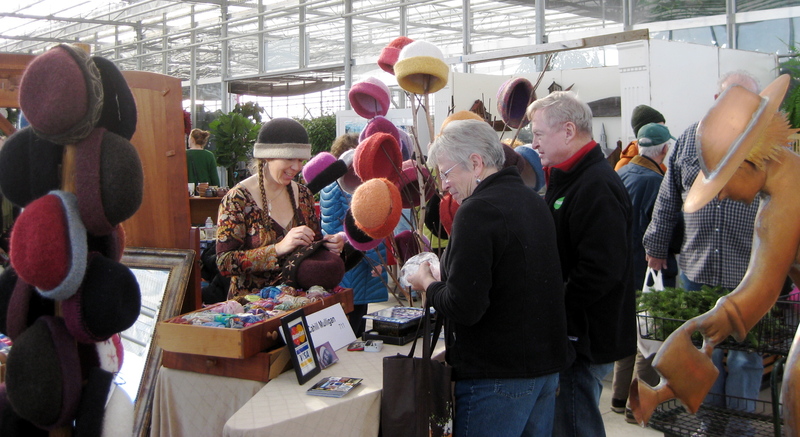 Such great lighting in the new greenhouse… really shows off the hats! If you’re within striking distance of the New Hampshire seacoast on Saturday, December 14 or 21, I hope you’ll visit or tell your friends. 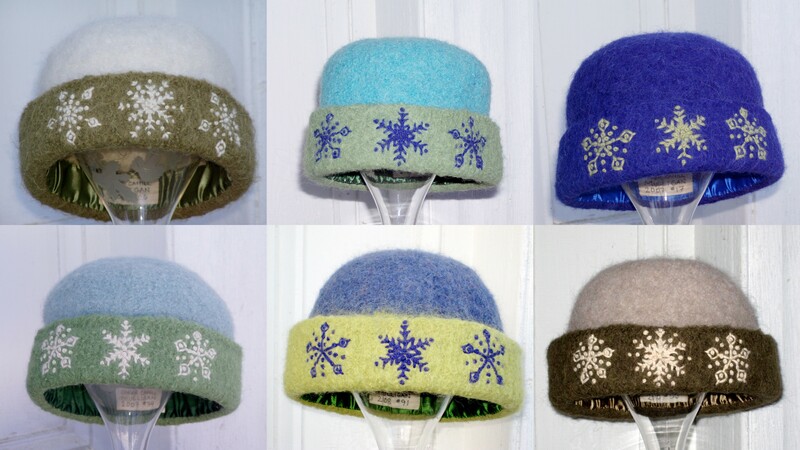 A stylish warm hat can really change your outlook on winter! Digital macro photo of a snowflake on knitting, taken with my point & shoot camera. Leaving no record except as the inspiration for my own snowflake embroidery. And so, for the beauty of little things, I give thanks.